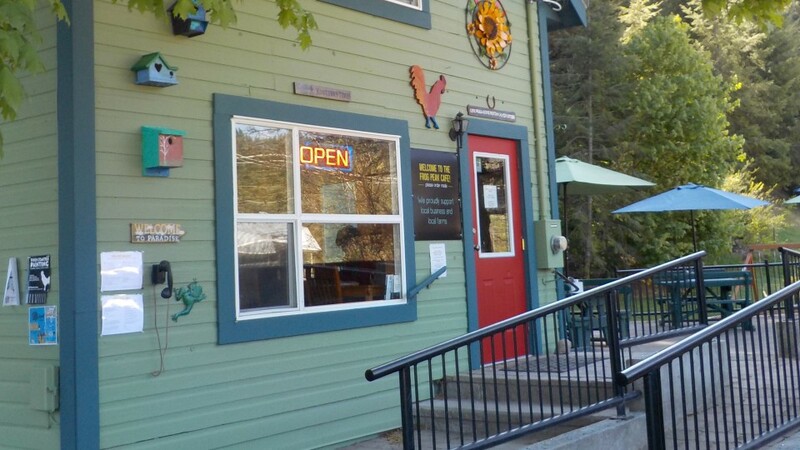 The Frog Peak Café can be found in the oldest remaining heritage building in the Slocan Valley. Built originally by George Borgeios in 1896 the Frog Peak Café was restored by its owners Matthew Theoret and Laurel Glasson in 2003. The café offers a great selection of paninis, soups and salads as well as savoury treats and specialty coffees and has a great outdoor patio for seasonal use as well as a play area for young children. We’re located in the south end of the Slocan Valley at km 2 of the historic Slocan Valley Rail Trail. Whether you’re skiing, cycling or walking, we’re here to help make your adventure more enjoyable. Frog Peak Guesthouse suite available with full breakfast.